Approximate numbers are very useful for talking about generalities, making estimates, and just flat-out guessing. English only has one approximate number, content to use "about" in front of cardinal numbers any time a guess is required. 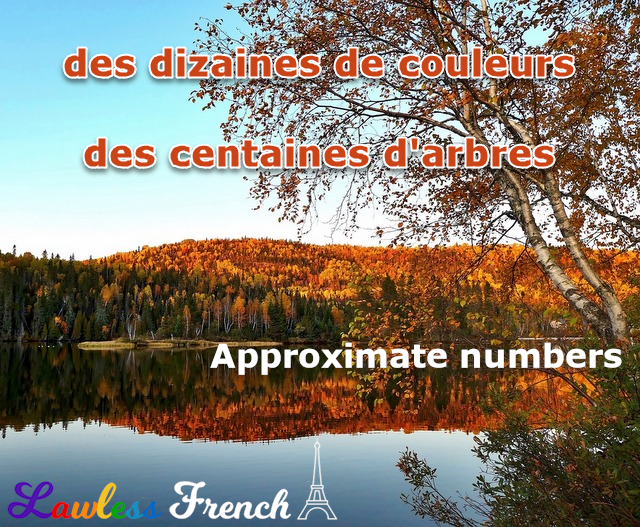 In contrast, French has about a dozen approximate numbers, most of them formed by adding the feminine suffix –aine to the cardinal number, some of which undergo a minor spelling change. 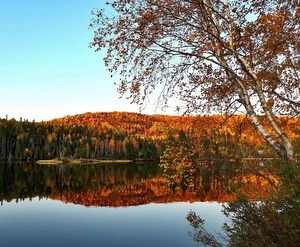 8 huit une huitaine Usually means "about a week"
15 quinze une quinzaine e dropped Often means "about two weeks"
The final approximate French number is completely different: un millier, meaning "about a thousand." Grammatically, approximate numbers are used like expressions of quantity: they are joined to the nouns they modify with the preposition de. *Technically, dizaines means "tens," but idiomatically, in French we generally say dizaines while in English we say "dozens." However, if you’re using a specific number in front, then douzaine = dozen. J’ai trois douzaines de stylos. I have three dozen pens.